Sanjay Dutt just recently wrapped up shooting for his next venture Torbaaz. Post that the actor soon commenced work on his other project Prassthanam that is currently being shot in Lucknow. 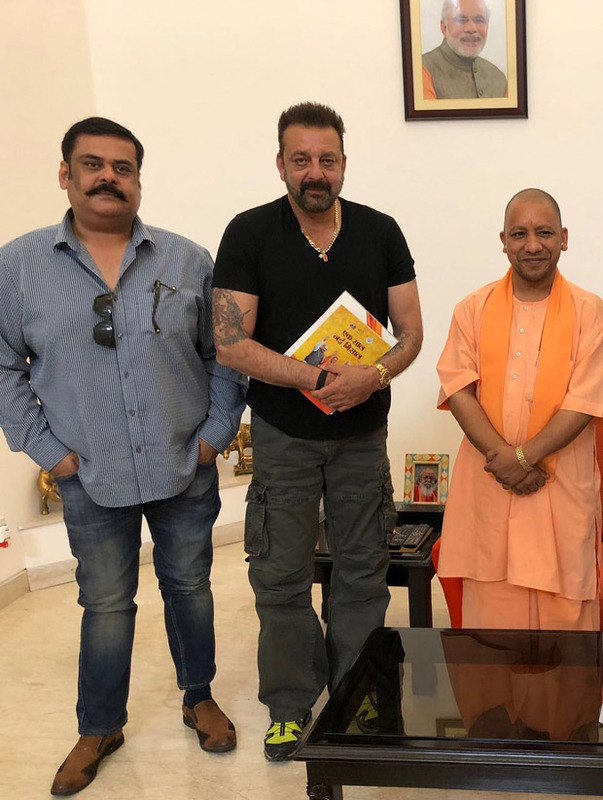 Taking some time off from the shoot schedule, Sanjay Dutt and Rahul Mittra met with the CM of Uttar Pradesh Yogi Adityanath. Also present at the meeting were Principal Secretary Awneesh Awasthi, along with other top officials from the state, along with NRI Jay Patel who discussed investment opportunities in the state.